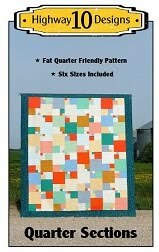 This is Coleen’s Fat Quarter Fizz quilt and the pattern is a free download from Fat Quarter Shop. 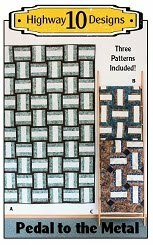 Here is a link to the pattern. 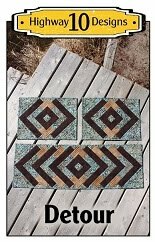 As you have probably guessed it is a fat quarter friendly pattern and with the rectangles being 6” x 12”. 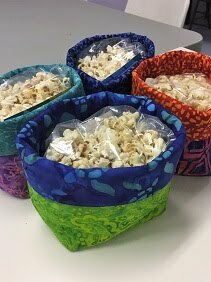 This would be a fast project and a great one for digging into your stash. I chose the Fascination panto as it is my larges scale design and to my surprise the repeat in the piecing matched the repeat in the panto. 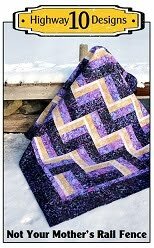 So the large swirl quilted out down the center of each row perfectly. I used beige So Fine thread and Quilters Dream blend batting. So things have been a little wonky with Blogger these past two weeks. It seems they can no longer email notifications when a comment is left on a blog. This was an extremely handy feature and how I replied to any questions in the comments. So now if there is a question I will have to answer it in the comment section. I really hope they can fix this problem as I now have no way to know if there are comment being left on older post! That's a fun scrappy. Sometimes we miss out on how simple can work! Your quilting swirls really make it fizz and sparkle. *hint* Another blogger has conquered it by leaving a message on her blog, as soon as she puts a post up, opting for "Notify Me". Doesn't solve the problem for older blogposts, but it does keep her in the loop with the current ones. Love the panto, those open swirls are perfect with the blocks. 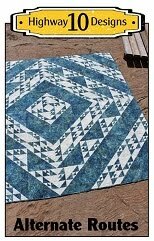 It is a beautiful quilt with great quilting. So often we think we have to make complicated complex things when simple ones are just as lovely.